After nearly six years of preparatory work in design and sourcing of specialty materials, the first of two Villas – ‘Villa Ada’ is ready to be enjoyed. 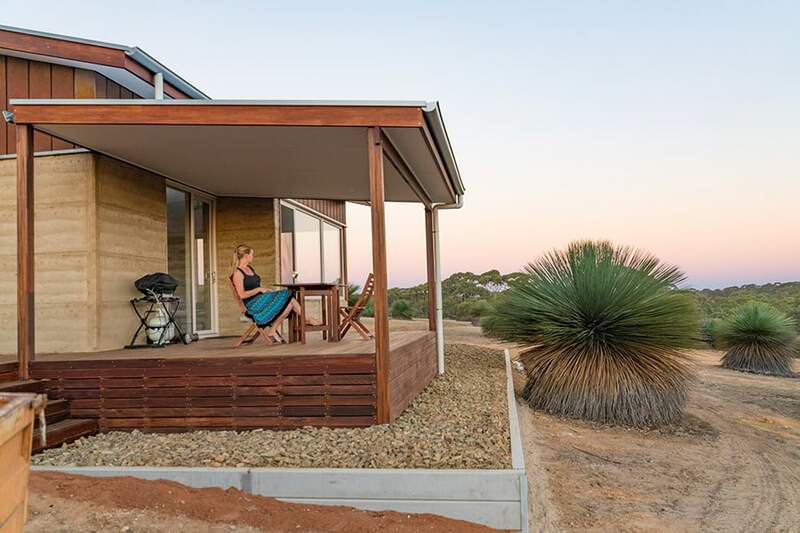 Owners of this beautiful and highly functional villa, Rob and Yael, are proud to present it to visitors of Kangaroo Island, knowing that it incorporates the very best of naturally sourced materials, which blend so well into the natural environment. If you are looking for a luxury stay, a place to connect and revive, this is the place to be, you won’t be disappointed. Villa Ada is soon to be joined by Villa May, which is still under construction. Find out more about our Villas, see the image gallery and book your stay.